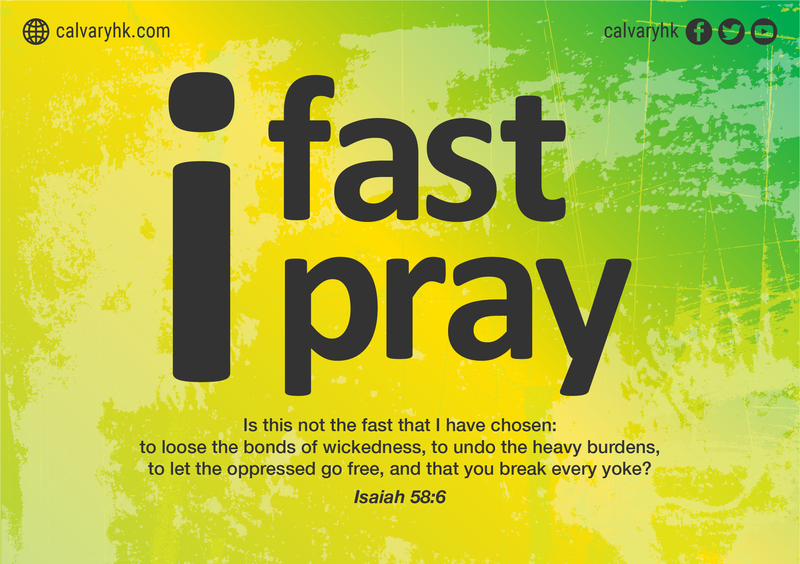 During the month of October, Calvary Church will be fasting and praying. We encourage you to get involved and see your life transformed. During this time we’ll also be feasting on the Word of God. Please feel free to download and use the following resources. You can download the entire resources here or download them separately from the below links. 40 days Bible reading plan coinciding with the month of fasting. The reading goes on for 10 more days. I’m Positive – A 30 days journey towards breaking life-long self defeating habits through God’s Word. If you have prayer requests, you can email them to prayer@calvaryhk.com.